Ajax is a town in Durham Region in Southern Ontario, Canada, located in the eastern part of the Greater Toronto Area. The town is named for HMS Ajax, a Royal Navy cruiser that served in World War II. It is about twenty-five kilometers (16 miles) east of Toronto on the shores of Lake Ontario and is bordered by the City of Pickering to the west and north, and the Town of Whitby to the east. Before the Second World War, Ajax was a rural part of the township of Pickering. The town was established in 1941 when a Defense Industries Limited (D.I.L.) shell plant was constructed and a town site grew around the plant. By 1945 the plant employed over 9,000 people at peak production. It had its own water and sewage treatment plants and fifty kilometers (31 miles) of railroad and 50 kilometers (31 miles) of roads. The entire D.I.L. plant site was about twelve square kilometers (5 square miles). Pickering is a city located in Southern Ontario, east of Toronto in Durham Region. It was settled by British colonists starting in the 1770s. 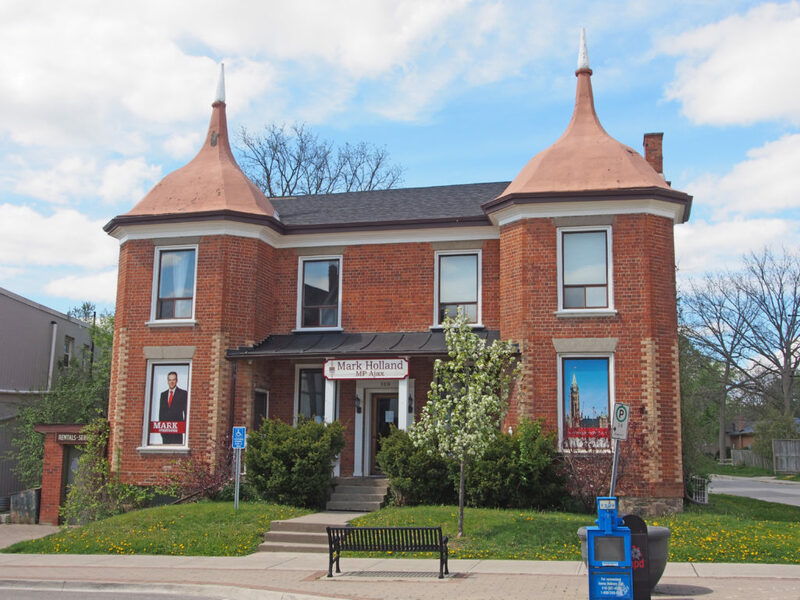 Many of the smaller rural communities have been preserved and function as provincially significant historic sites and museums. Whitevale, formerly Majorville, is a community located within the City of Pickering. The community was first settled in the 1820s when John Major built a sawmill; there were many Majors living in the area. Around 1855 Truman P. White bought the saw mill, built a gristmill and a cooperage, and in 1866 built a planing factory. In 1867 he built a large four storey brick woolen mill. The community owed so much of its development and business prosperity to T.P. White that in acknowledgement, it adopted Whitevale as its permanent name. In 1855, Donald McPhee opened the first store. In 1890 Whitevale contained a stave and heading factory and a barrel factory both owned and operated by the Spink brothers; three general stores, one owned by James Taylor and Donald McPhee; a wagon and carriage factory, operated by the Pollard brothers; a cheese factory, owned and operated by P.R. Hoover and Company; the merchant and tailoring firm of J. Rose and Son; the shoemaker shops of John Allen and D. Moodey; the butcher shop of Israel Burton and the tinsmith shop of S.B. Wigmore. In addition, Whitevale contained two blacksmiths, two wagon shops, a school house, undertakers, harness shop, grist mill, brush factory, grindstone factory, barber shop, three dressmakers, three gardeners, money order and post offices, hotel, brass band, two churches and four lodges. 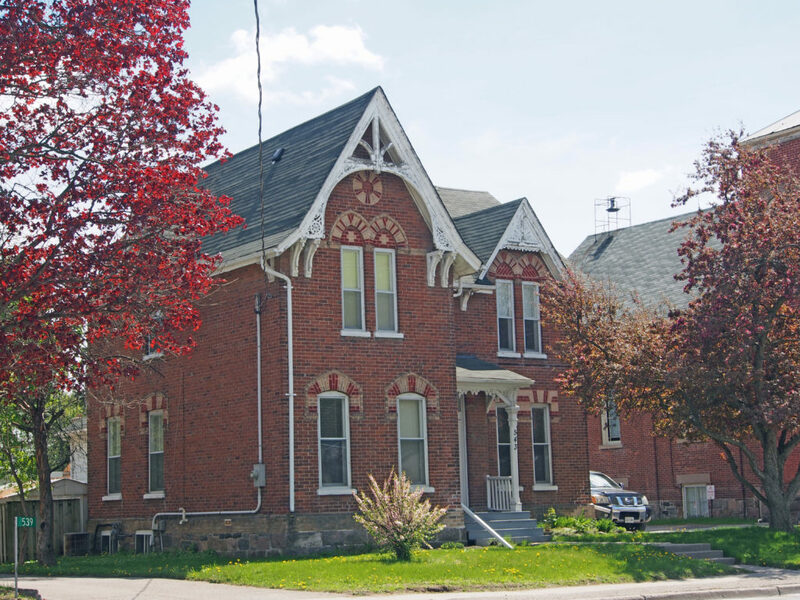 The Whitevale Heritage Conservation District was established to ensure the preservation and enhancement of the special character of Whitevale. It is dominated by its rural setting and modest vernacular buildings; the hamlet has not changed significantly in character since the late 19th century. 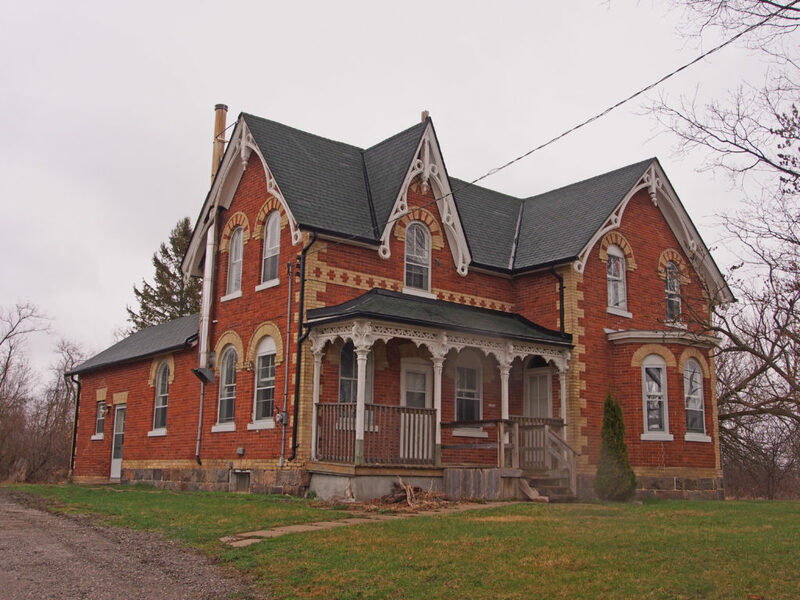 The building style in Whitevale is a mixture of typical rural Ontario vernacular architecture combined with Victorian influences and materials in common usage at the time of construction. The overall nineteenth century village character has been retained. 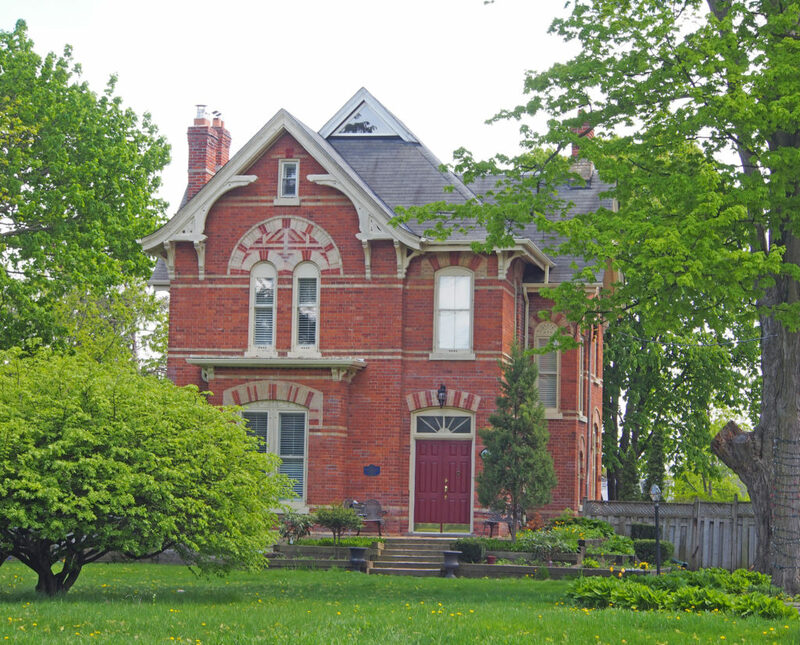 497 Kingston Road West – 1870 – purchased in 1882 by Dr. Field for his daughter. 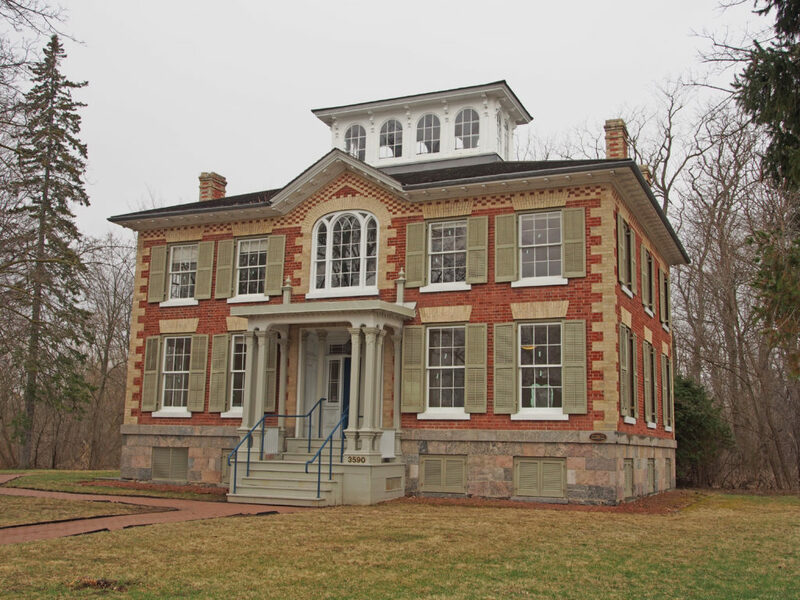 Dr. Field was a practicing physician in Pickering Village and later built his own home directly east of this property. In 1929, Emerson & Henrietta Bertrand purchased the home and raised Allan Irwin. The family gave up the homestead in 1934, only to have it reclaimed in 1977 by their grandson, B. 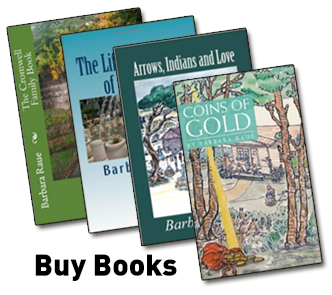 B. Bertrand (son of Allan). 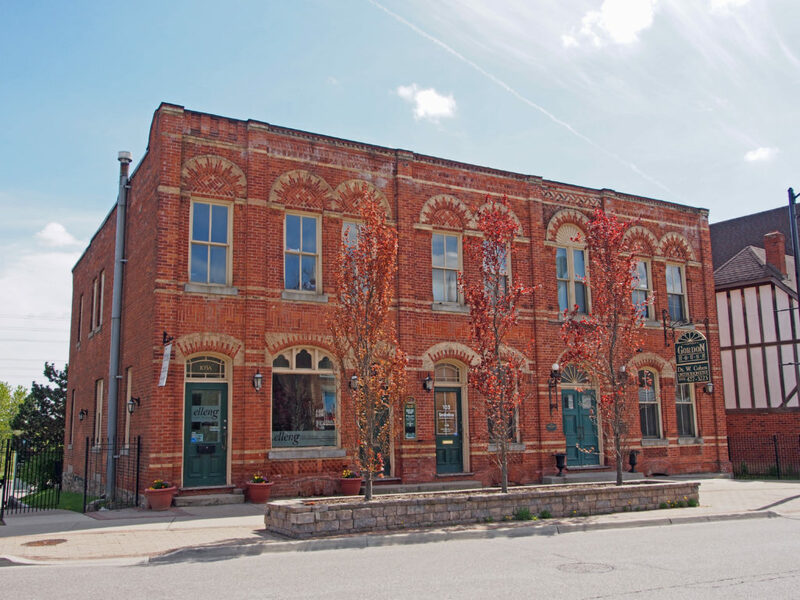 The building is a 2½ storey brick structure in Italianate architecture. 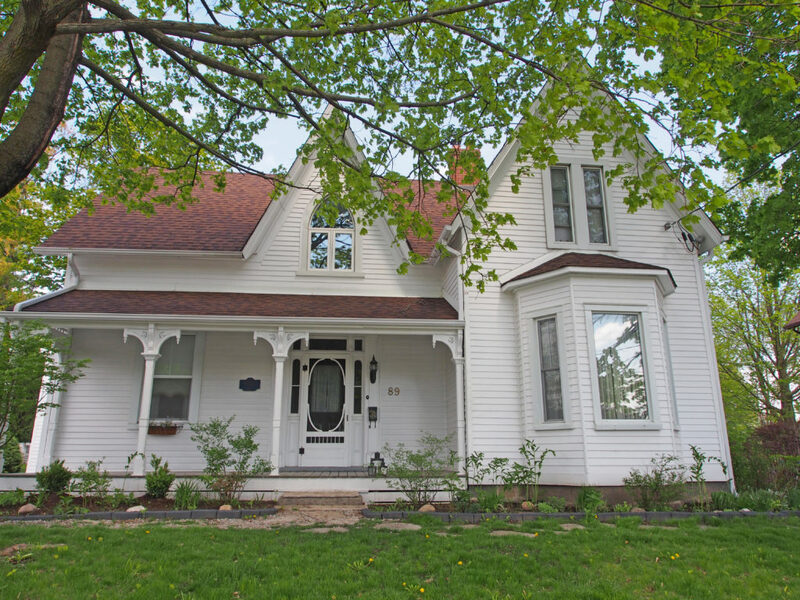 89 Church Street South – This home, built in 1877, has existed in its present configuration since 1937. 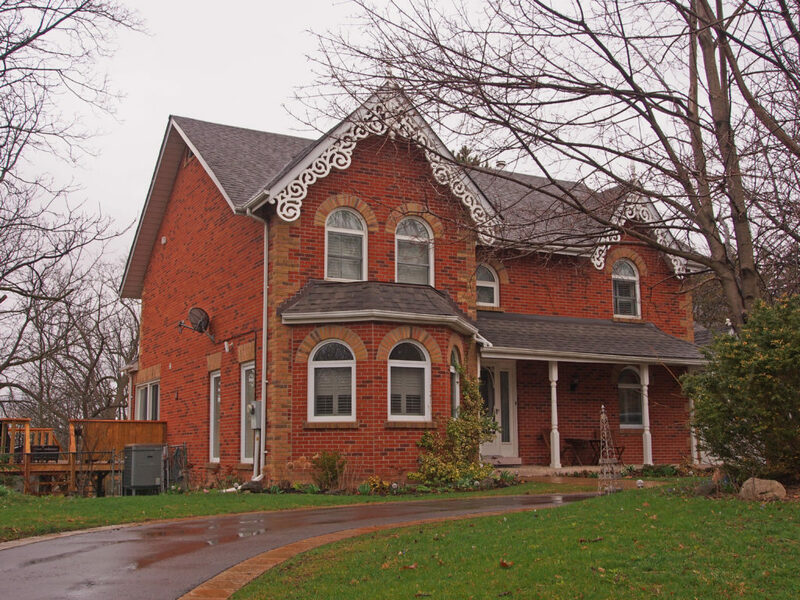 It is the best-preserved frame house of Gothic Revival design within the Town of Ajax. 23 Elizabeth Street – This Gothic house was built in 1875. In 1980 the owners restored the tongue and grove pine wood facade. 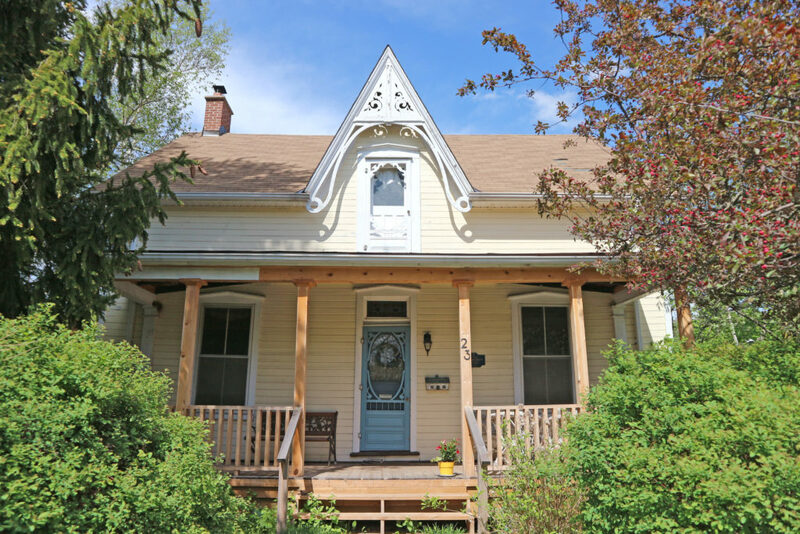 Other features include the decorative trim above the front gable and a second storey “suicide” door. Tradition says is was the first house equipped with inside plumbing and central heating – features installed to persuade a retired miller from Toronto to run the Spink’s Mill on nearby Duffin’s Creek during World War I. 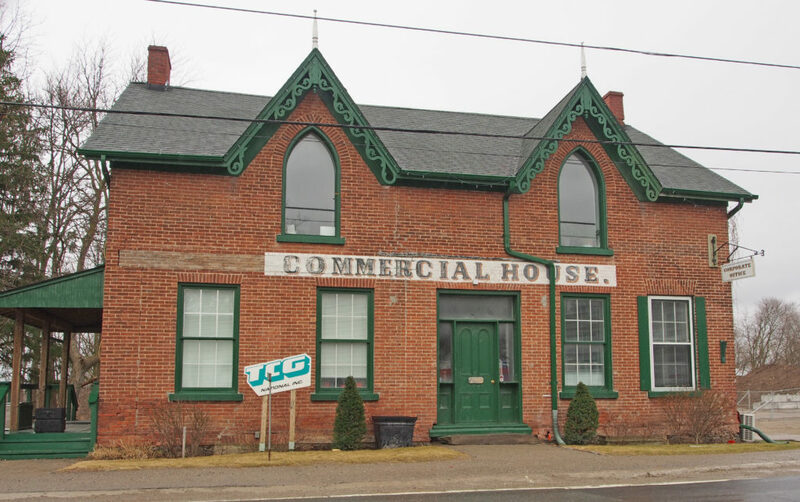 1709 Highway 7 Road, Brougham – The Former Commercial Hotel in Brougham, Ontario is a two-storey brick building in the Gothic Revival style with a gable roof and has pointed arched windows in two dormers with finials and decorative wood fascia. It was initially built as a home and then converted into a hotel. Bentley House was built in 1853-55 for William Bentley, a local businessman and founder of Brougham village. It remained in the Bentley family until 1959, when it was purchased and restored by the Gibson family. The site is now part of the proposed Pickering Airport. Bentley House, on its original four-acre site, is located at the intersection of the Brock Road and Highway 7. The Italianate style has two variations. The Tuscan Villa style reflects the Picturesque values of variety in silhouette and textures and intricacy in detail, while the Italian Palazzo form emphasizes the symmetry and tripartite composition typical of Renaissance buildings. The heritage character of Bentley House resides in its vernacular Italianate style, as evidenced by the combination of Renaissance massing with Picturesque expression in the materials and detailing. The Renaissance influence on the design of Bentley House is reflected in its symmetrical massing, shallow hip roof, regular arrangement of windows on all façades, and round-headed windows in the belvedere. Picturesque qualities are expressed in the variety of colors and textures of materials: stone foundation, polychrome red-and-buff brickwork, large multi-paned sash windows, and elaborate wood trim and wood belvedere. The emphasis on ornamentation typical of Italianate villas in the Picturesque tradition is reflected in the tracery of the segmentally-arched window in the gable, eave brackets and dentils on both the house and belvedere, paneled door casing with carved colonnettes in antis, carved porch pillars, window shutters, and prominent decorative chimneys.